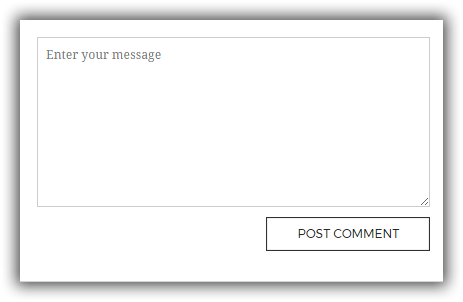 I made it over a month to easily display original messages, images etc in the comment input part. I opened to the public 4 years ago (2013). I started publishing as WordPress official plug-in on May 10, 2017. 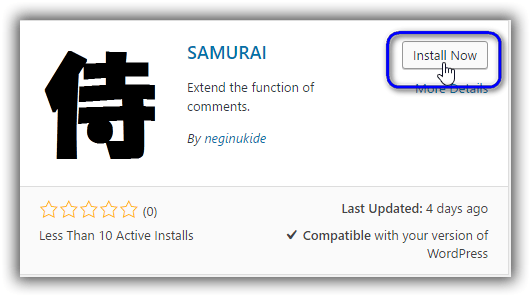 Before introducing the SAMURAI plugin. 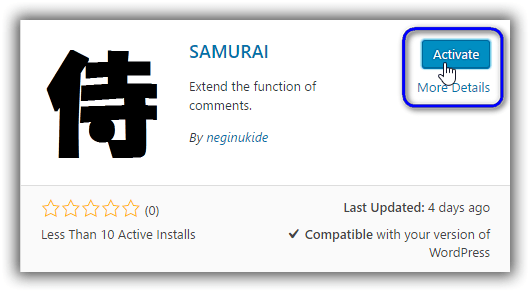 After introduction of SAMURAI plug-in. Text part is not an image, it is a text display. 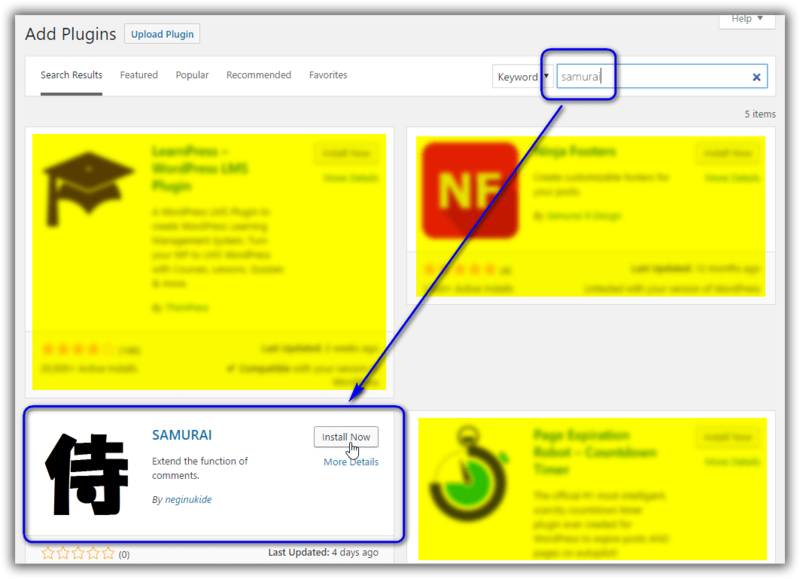 WordPress [Dashboard] > [Plugins] > [Add new] > Search by [SAMURAI]. 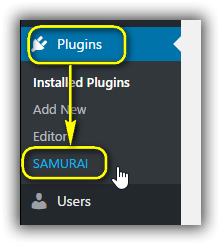 WordPress [Dashboard] > [Plugins] > Click [SAMURAI]. 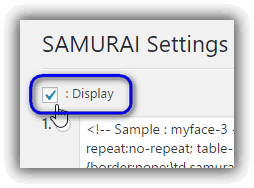 The SAMURAI plugin setting screen will be displayed. There are already 7 kinds of samples already. 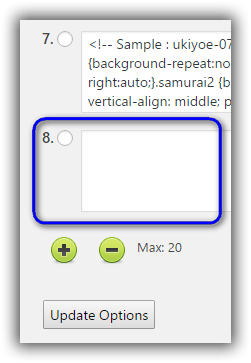 By default, the first checkbox is checked, and the image and text are already displayed on the submit button of the comment. 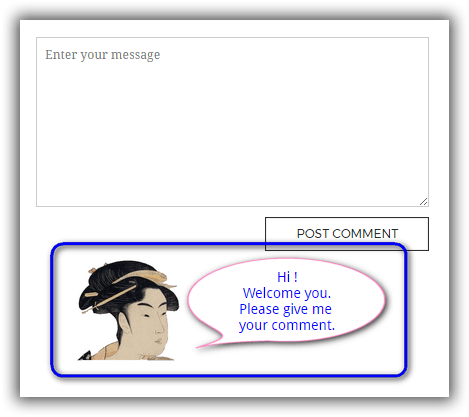 You can register up to 20 text input parts. You can add one by clicking the [Add] button. 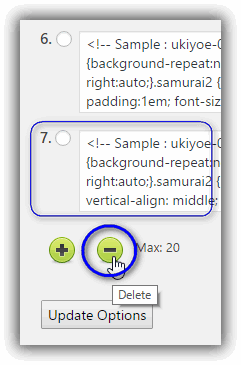 You can delete one by clicking the [Delete] button. 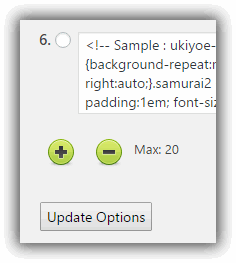 At the end you click the ‘Update Options’ button. All settings are reflected here. Please do not forget. 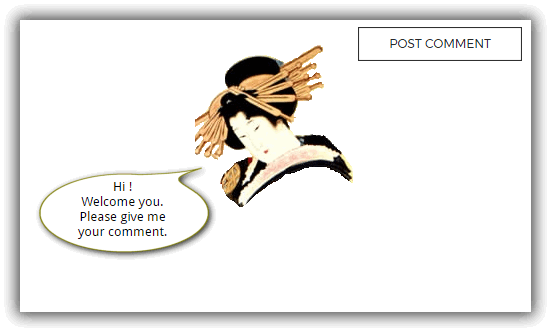 Now you can display the HTML you entered text on the comment. 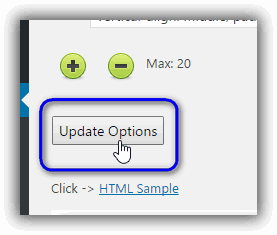 If you want to temporarily stop this function, click on the ‘Display’ checkbox on the top, and click ‘Update Options’ button. This plugin will stop functioning. It has the same function as disabling the plugin. 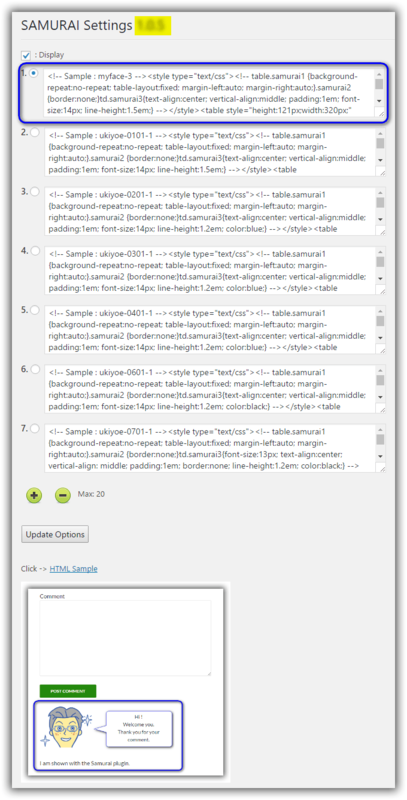 You can see various HTML + CSS samples above. When an image URL exists in the setting text, a thumbnail image is displayed thereunder. 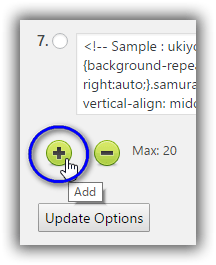 Added ‘ style=”cursor: pointer;” ‘ to the ‘Update Option’ button. The following are subjects of upgrading all the time. I will receive your opinion. For security reasons, the following elements (tags) are forcibly converted and invalidated in order to prevent intrusion of inappropriate text code. Please be careful. It has been supported since version 1.0.5.